The 1st Navy Jack: One of the first flags flown by our Navy may have been an adaptation of the “Rebellious Stripes” created at the time of the Stamp Act Congress. 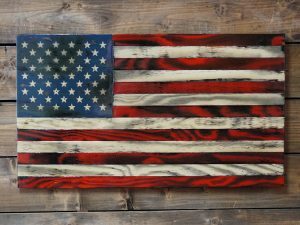 It featured thirteen red and white stripes. 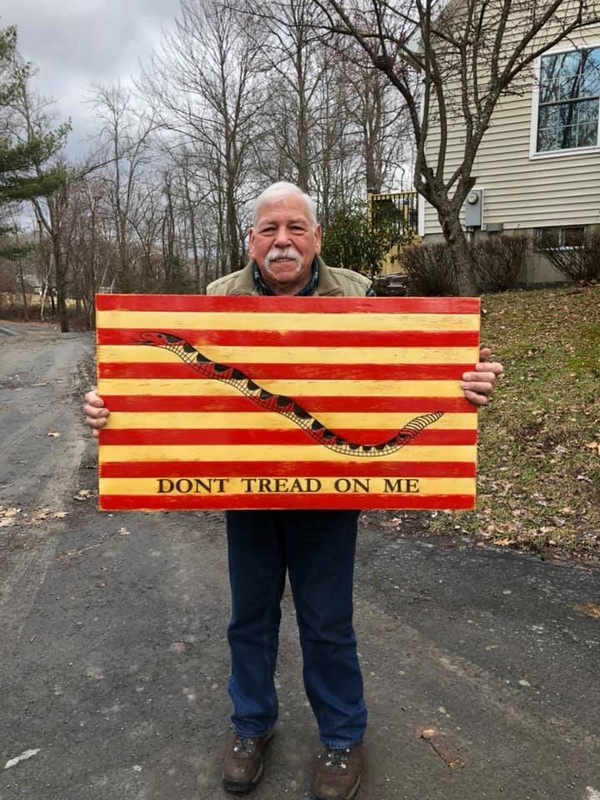 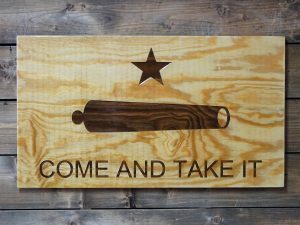 Stretched across them was the rippling form of a rattlesnake, and the words, “DON’T TREAD ON ME”- a striking indication of the colonists’ courage and fierce desire for independence. 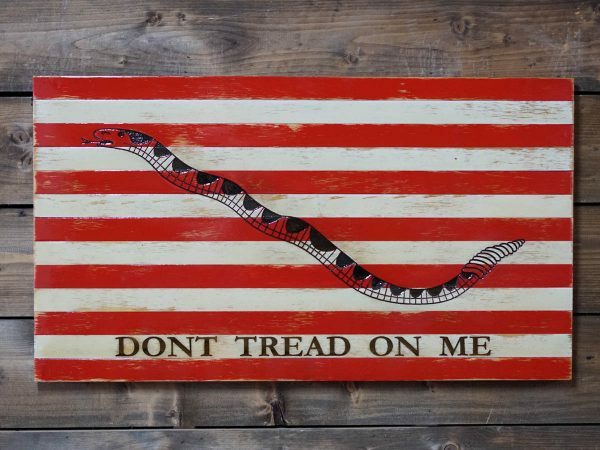 The flag we know today as the first Navy Jack (sometimes known as the “Culpepper Flag”) is believed to have flown aboard the Alfred, flagship of the newly commissioned Continental fleet, in January 1776. 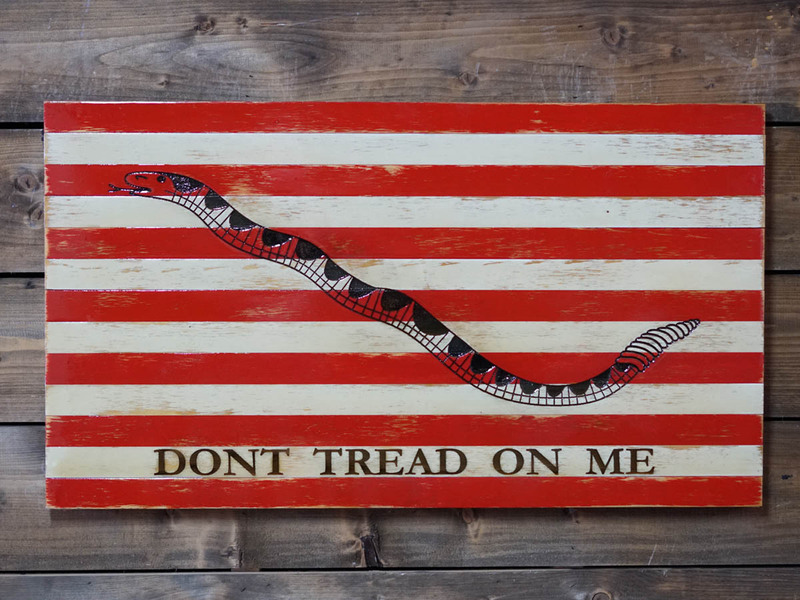 American ships used this flag, or one of its variations, throughout the Revolutionary War. 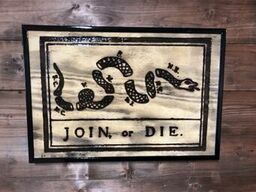 This powerful American symbol was used by the Continental Navy in 1776 and is being used again by the U.S. Navy in the War on Terrorism. 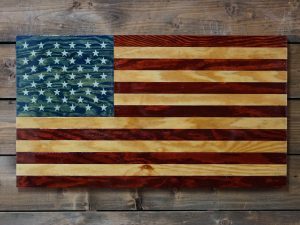 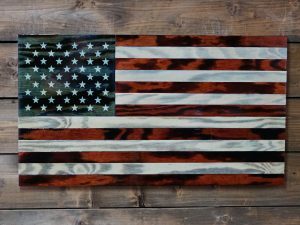 Laser engraved wood flag distressed and torched for a weathered tattered look then finished with 4 coats of protective poly finish. 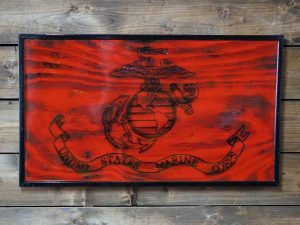 Comes with fixed hanging brackets 16” on center and measure 20” tall and 3ft wide.